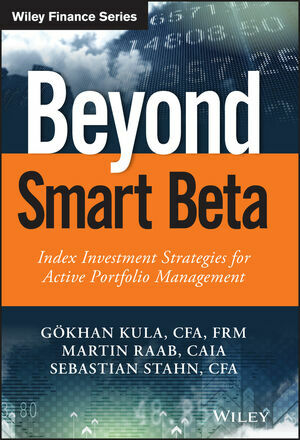 Beyond Smart Beta is the investor's complete guide to index investing, with deep analysis, expert clarification and smart strategies for active portfolio management. From the general to the obscure, this book digs into every aspect of Exchange Traded Funds (ETFs) including ETCs and ETNs to break down the jargon and provide accessible guidance on utilising the indices as part of a more productive investment strategy. Succinct explanations of terms and concepts help you better grasp ETP anatomy, mechanics and practices, while examples, charts and graphs provide quick visual reference for total understanding. The expert author team examines the risks and benefits associated with various indexing approaches, sharing critical review of next-generation methods to help you make well-informed investment decisions. ETFs provide a solid foundation within mature and well-researched markets, allowing investors to focus on areas where active management has the potential to reap higher returns. This book shows you how to take full advantage of the growth of this market to strengthen your portfolio for the long term. Index concepts have evolved from basic, passive investments through Smart Beta, and are evolving into a third generation of products that will quickly become an important element of investor portfolios. Key benefits have propelled ETFs to surpass hedge funds in global capital, and the growth shows no sign of slowing. Beyond Smart Beta provides a primer for investors seeking to understand — and take advantage of — these lucrative new products. GÖKHAN KULA is managing partner and CIO of MYRA Capital. Formerly he was managing director and Head of Asset Management of the Walser Privatbank Invest S.A., and a board member of several Luxembourg-based investment companies. He is a CFA and FRM Charterholder and a consistent voice in the financial media published in Germany, Austria and Switzerland. MARTIN RAAB is executive director of Derivative Partners, Registered Investment Advisor, and a senior adviser to the board of MYRA Capital. He is the publisher and editor of several investment publications, a public speaker on financial products, and is regularly quoted by POLITICO, Bloomberg Brief and various other media. SEBASTIAN STAHN is Treasury and Investment Manager at Wüstenrot Group. Formerly he worked as senior portfolio manager, fund manager and advisor to institutional clients at MYRA Capital and Walser Privatbank. He is a CFA charterholder and a renowned expert in efficient and rules-based investment strategies.